Kenai Golf Course is a Public 18 holes golf course located in Kenai, Alaska. Kenai Golf Course first opened for play in 1986.  The course was designed by D. Morgan, M. Davis and R. Collins. Par for the course is 72. From the back tees the course plays to 6816 yards. The course rating from the back tees is 74.2 with a slope rating of 144. From the forward tees the course measures 5166 yards. The longest hole on the course is # 2, a par-5 that plays to 575 Yards. The shortest hole on the course is # 10, a par-4 that plays to 140 yards from the back tees. Watch out for # 15, a 388 yard par-4 challenge and the #1 handicap hole on the course. The easiest hole is # 5, a 200 yard par-3. 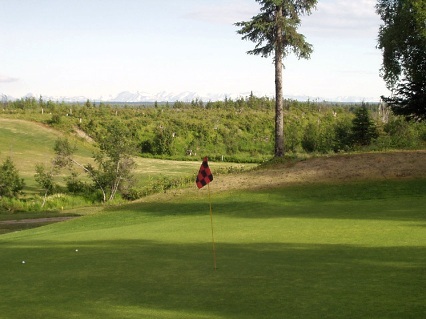 The beautiful Kenai Golf Course is the only full-service 18 hole course on the Kenai Peninsula. Alaskan wildlife--including moose, caribou, eagles, ducks, sandhill cranes, coyotes, wolves and an occasional bear may be seen around the edges. Very challenging course. If you can't stay in the middle of the fairway, take a lot of balls. Greens are very challenging. Super slow with lots of breaks. Considering there are only 23 courses in Alaska, I am hesitant to actually rank this course. With a slope rating of 139 from the whites, you know it is going to be challenging.